It's been a few weeks since I've shared one of these posts, so let's sit down and chat a little while. We've already established how much I love to read so I have to share this book I finished last week. It's probably one of the best I've read all year so far! Blogger Kristen Welch from We are THAT family shares her personal story of saying "yes" to God and stepping out of her comfort zone to do what he has called her to. After visiting Africa in the heart of the slums she knows there's no going back to her normal life, she feels compelled to make a change. I don't want to spoil it for you, so I'll leave it at that. I highly encourage you to add this to your summer reading list. Do you make a summer bucket list? I usually try to have a few things in mind that we'd like to do each year, whether they be small trips, specific craft activities the girls want to work on and what have you. 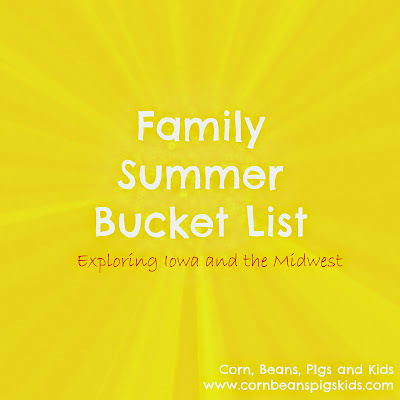 Val from Corn, Beans, Pigs and Kids shares her family's bucket list for this year. I'm planning to have the girls each give me 2-3 ideas and we'll compile them all together and see what we come up with. I finally got my hands on some rhubarb and I'm anxious to make something with it. Michelle's whole wheat strawberry rhubarb muffins look fantastic! 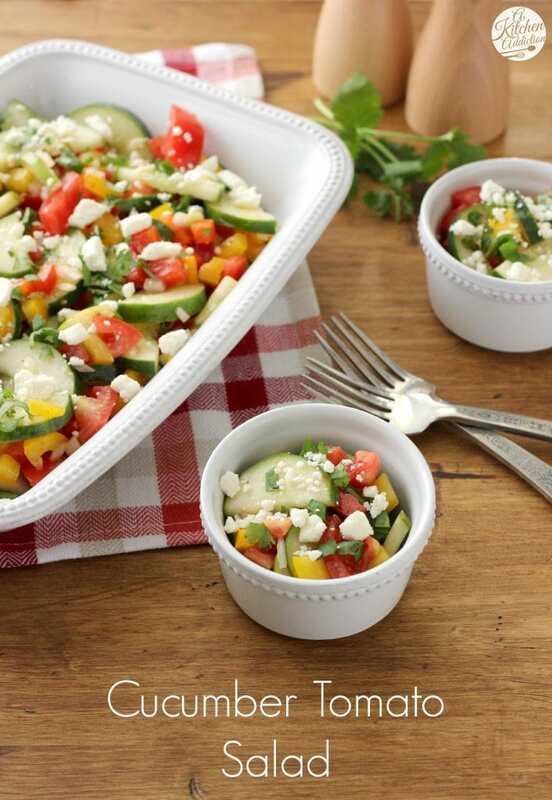 I'm definitely tucking away this recipe for Easy Cucumber Tomato Salad for when these veggies are in season here in Iowa. I love all the colors and it looks very flavorful too. We can't get away without sharing dessert now, and I love anything with lemon. 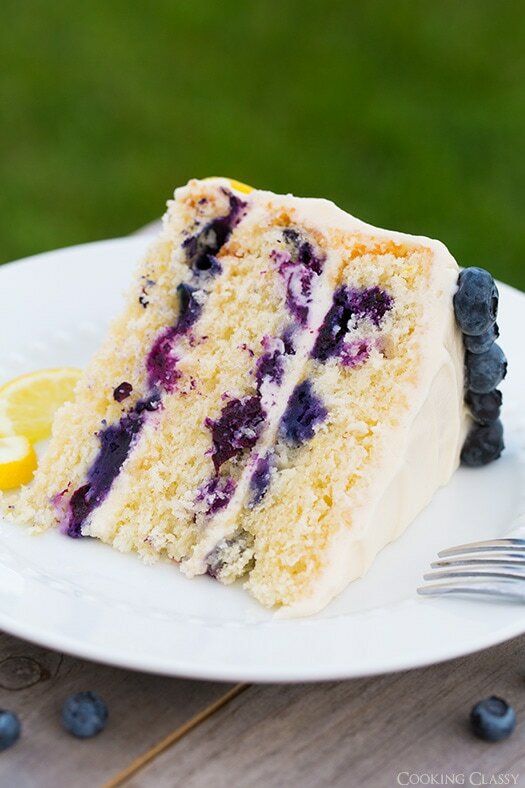 This lemon blueberry cake is making me drool! How good would this be at a barbecue? Yum!